Bulgarians are descendants of local Thracian and incoming Slavic tribes. The unified tribes managed to cut their motherland from Byzantine territory. 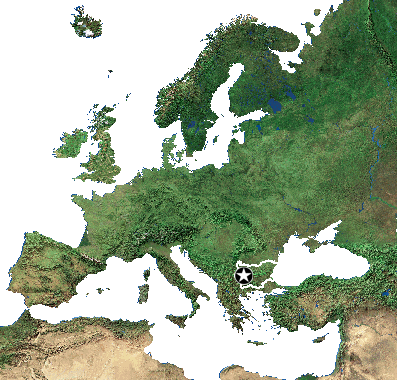 In the 681 peace treaty the Byzantine Empire accepted their conquest and thus Bulgaria was formed. Being situated at the gates of Europe Bulgarians were always the first ones to oppose Islamic expansion. In 11th century they were eventually defeated by the Ottoman Empire, but never converted to islam. In 1185 another of national uprisings was finally successful and brought independence for 200 years. In 1396 Bulgaria was conquered again by the Ottomans, who controlled Bulgarian lands until the 20th century. In 1908 Bulgarians announced independence again and began forming a strong army. During both of world wars however, Bulgaria took the side of the defeated and in 1944 they became a puppet in hands of the Soviet Union. After the communism had collapsed, the free parliament elections took place in June 1990 and already 14 years later Bulgaria joined NATO. In 2007 Bulgarians became the European Union member.